Easily order Woodbridge lawn care and other lawn services in minutes. Try us today! The lawn looks great. It's been so hot lately and I know the energy and effort it takes to work in a hot climate. Just know the hard work you and your team does in the yard is very much appreciated. Thank you all. It is so wonderful to be able to depend on Khalil. Reliable and excellent services. Highly recommend and will continue with his service and LawnStarter. Being a Sr citizen recovering from multiple surgeries it's one less thing I have to worry about. Thank you for taking care of me. I have had experience with other services in area and scammed. I truly trust Khalil and LawnStarter. The lawn looks amazing! You guys were super fast! I really appreciate the fact that you blew off the grass from our cars too! Thanks so much for your great work! We currently have no rainfall data available for Woodbridge, VA. While it’s only twenty miles from Washington, D.C., Woodbridge has a personality all its own. 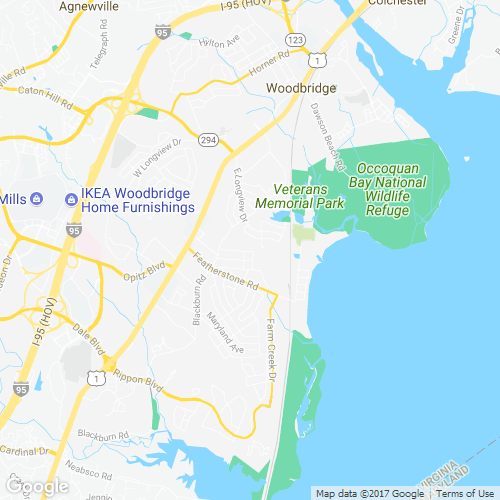 With a range of recreational opportunities and close access to Interstate 95, Woodbridge isn’t just a hot spot for tourists–it’s a great place to live as well. If you’re interested in some quiet time outdoors, spend your weekend enjoying the Occoquan Bay National Wildlife Refuge. This scenic location is a natural haven for a variety of animals, including bald eagles and ospreys. For a more active adventure, check out Veteran’s Park or Leesylvania State Park for some swimming, boating, hiking, or picnicking. Leesylvania is also on the National Register of Historic Landmarks, offering a glimpse of history as it is the former home of the legendary Lee family. Woodbridge is also home to Potomac Mills Mall, one of the largest and most expensive shopping centers in northern Virginia. If you are a sports fan, you can check out a soccer game at the Northern Virginia Royals soccer club, or enjoy a game by the Potomac National minor league baseball team. With all of these options at your fingertips, aren’t you interested in getting out to enjoy your city this summer? You’re not alone. 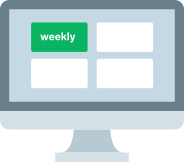 More people are beginning to think twice about their weekend to-do lists and trying to figure out how they can pare them down. Why? So they can spend more time enjoying the things they love the most! Cross lawn care off your list by contacting LawnStarter today. We are the premier service for all things lawn care in Woodbridge, and we will work with you to make sure that even your smallest landscaping need is tended to. We can do everything from mowing your lawn to pruning your rose bushes. We even take special requests. To get started, simply download the handy LawnStarter mobile app. 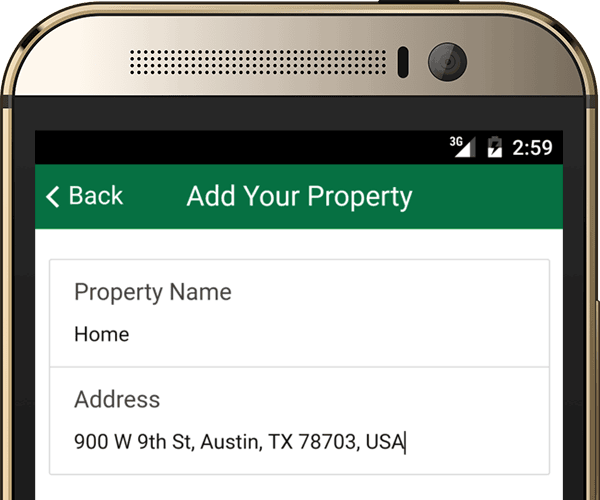 The app allows you to view a list of available services based on your street address. You can then choose from a list of flexible start dates and prices, and we’ll be taking care of your lawn maintenance needs quicker than you can say “lawn mowing.” We are friendly and approachable, and are willing to satisfy even the most demanding of requests. And if the mobile app isn’t your style, don’t worry! We also have an easy-to-use desktop website. The process works exactly the same, and gives you all of the information you need–right at your fingertips. So don’t put off your enjoyment of Woodbridge any longer. Call us today, and get back to exploring. Great job, especially with the trimming around the house and perimeter back yard. My yard looks beautiful! Clean. Green. It's a pleasure to see. Thanks for blowing the leaves off! Jacob did an excellent job. Super professional!!! Mowing looks excellent! Exactly what I needed! Hard worker and easy to work with! I love my lawn. Good job. Missed a section of grass next to the walkway that leads to the front door. Kurtis did an excellent job! Grass cutting is great. Just be mindful and take your time around plants when edging. Have found severed parts for the last three moves, two of which an occupant of the home asked for care to be taken. Hi. Great job. Can you trim the hedges?. Thank you. The lawn looks much better. It was getting long, what with all the rain. Good job. The lawn work is excellent as usual. Thank you! It looks great! The lawn looked great; thank you Tony very much!! Thanks for edging up behind the front yard hedges! Also, next time please edge up along both sides of the driveway. Thanks again! Jose did a splendid job once again! Thank you very much. Thank you Jose! Great Job!! Really great work! Fantastic company. There is a patch of grass in the front that knee high that didn't get cut, but the rest is ok. The Lawntrepreneur Scholarship is our way of giving back to the up and coming young entrepreneurs in the Woodbridge, VA area. Woodbridge lawn care is affordable and high-quality when it comes from us. Let us leave you a lawn you would be proud of.